WASHINGTON — It's April 10. And there's a blizzard. No, we're not kidding. And no, this isn't "unheard of" for some parts of the country. A strong low pressure system will dump heavy snow that could locally be 24+ inches and wind gusts above 40 - 50 mph, wreaking havoc on those wishing for warmer spring weather. Blizzard Warnings stretch from Denver through southwest Minnesota! The swath of 12+ inch totals stretch from central Colorado up through Minnesota. 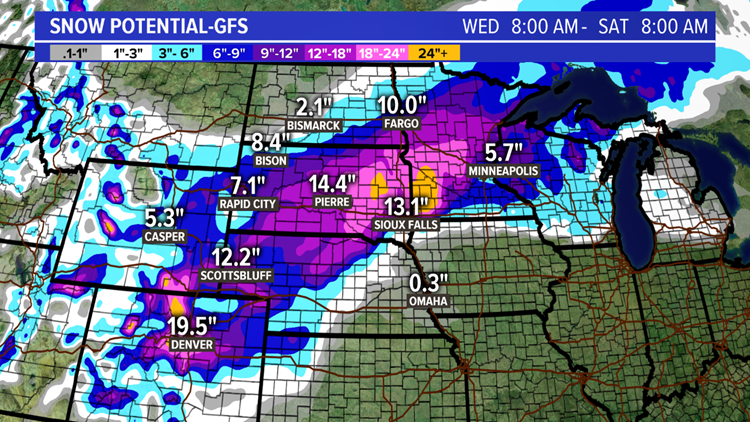 There could be 24+ inches of snow in eastern South Dakota to southwestern Minnesota! Denver had a high of 78° Tuesday. And now they are in a Blizzard Warning less than 24 hours later. Snow and blowing snow pick up throughout Wednesday.. They could pick up 4 to 8 inches in the city, and 12 inches or higher in the mountains. Winds in the Denver region will gust up to 50 mph, and even higher in eastern Colorado. For perspective, April snow is not unusual there. The average last 1+ inches snow in Denver is April 22. Where does this system move? For Minneapolis, March Madness has transitioned into April Absurdity. The heavy snow pushes from Colorado up through the northern Plains and into Minnesota and Wisconsin through Wednesday and Thursday. Northerly winds will intensify, gusting over 50 mph in spots. This will create dangerous travel conditions. Some roads could be closed. Flights will be cancelled. What is so unfortunate about this blizzard is that the heavy snow is falling in the same areas dealing with horrible spring flooding. It's the cherry on top for hundreds of thousands just ready for winter and spring floods to be over. What does it mean for DC? 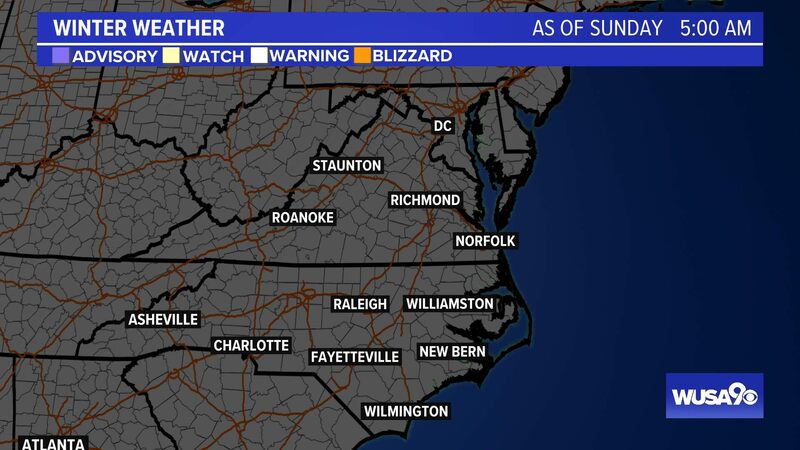 DC will not be on the cold side of this system -- there will not be any snow! But a cold front associated with this same low pressure system approaches the Mid-Atlantic and will spark off showers and storms ahead of it. Storms and showers are possible in the metro area late Friday through early Saturday morning.